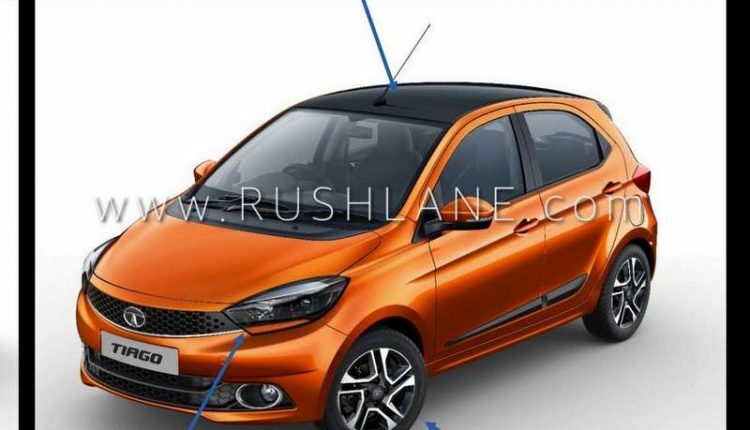 Tata Motors will launch a new top variant of their best selling car, Tiago next month. 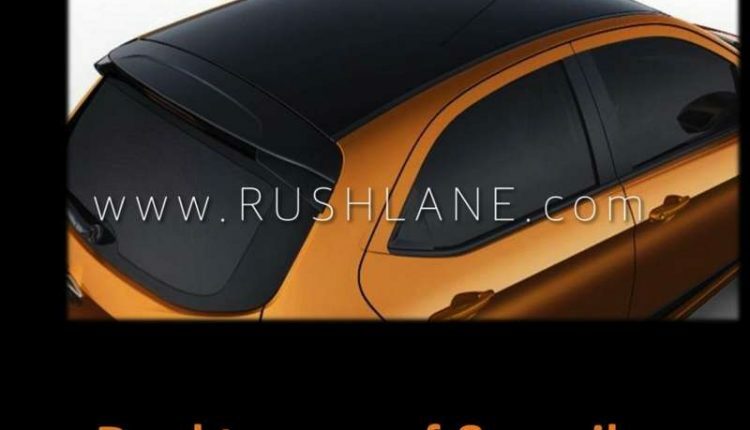 Hat tip to automotive enthusiast for sharing these exclusive details and photos. 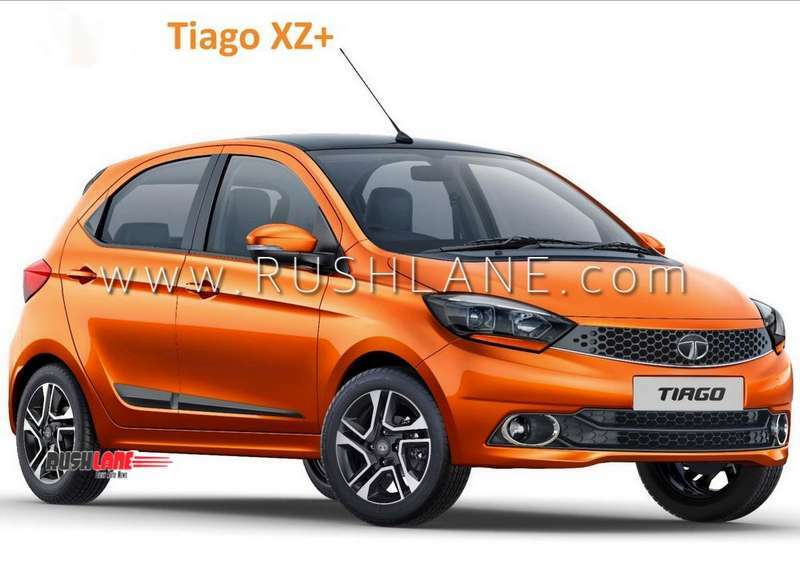 Tiago is the best selling Tata car today. 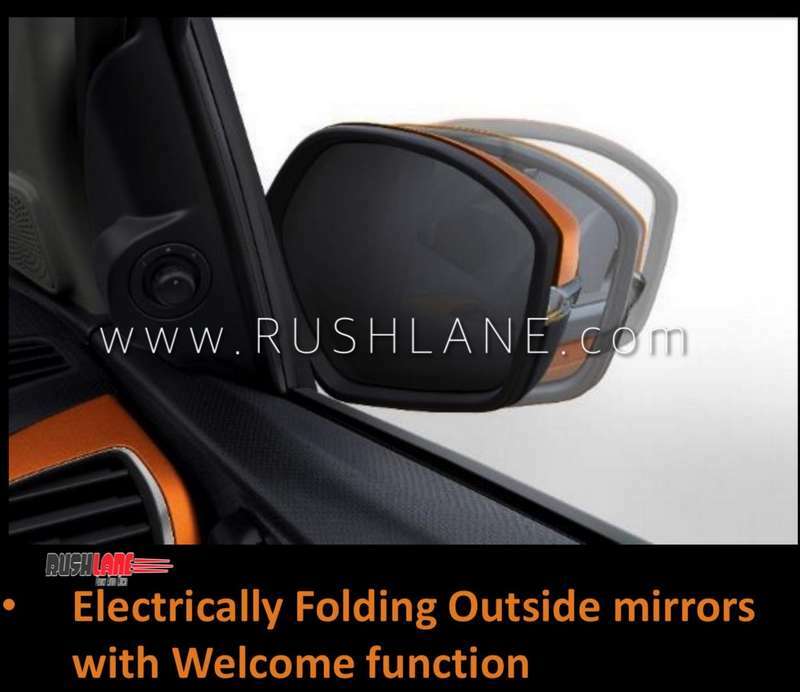 Not only it looks attractive, it is also very practical. 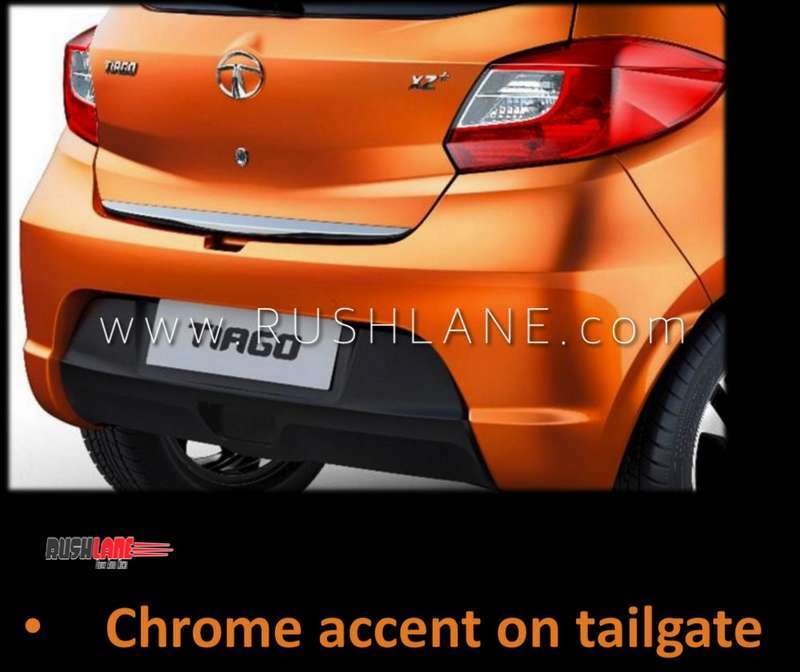 Loaded with features, Tiago is one of the most feature rich car in the segment. 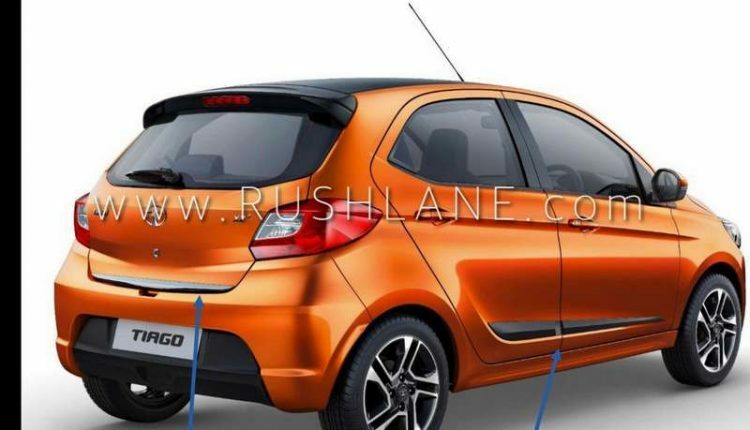 But in spite of this, there were customers who wanted even more features from the Tiago. 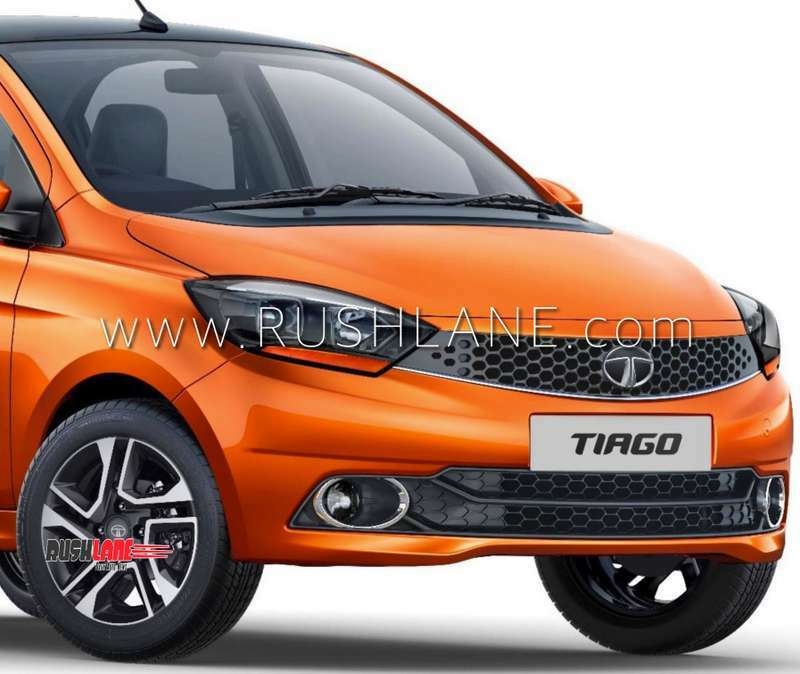 Tata has listened to these set of customers, and are going to launch a fully loaded top variant of Tiago. 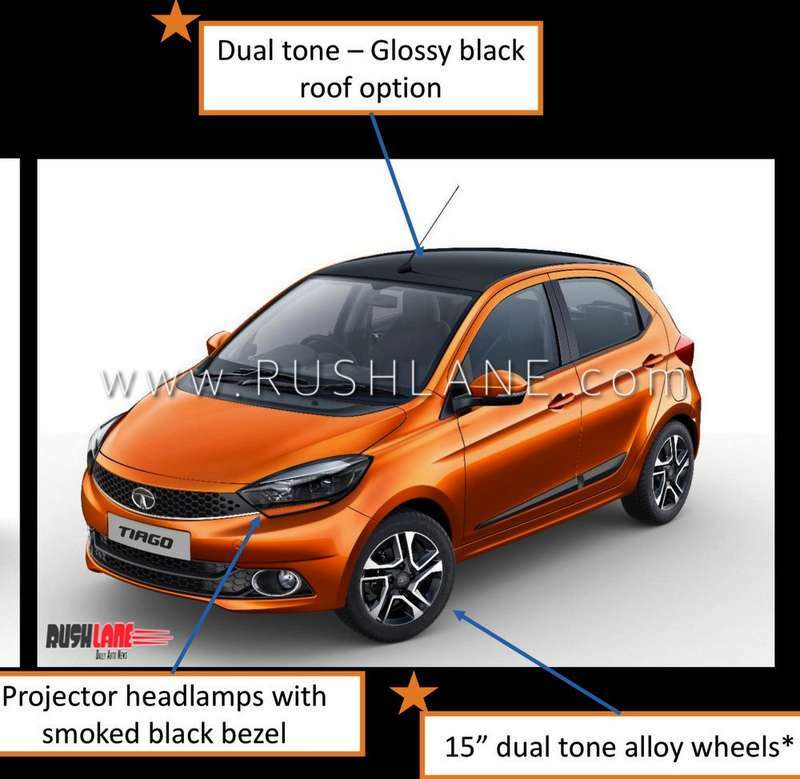 After giving the Tigor a major upgrade last month , Tata Motors is all set to give a similar update to the Tiago. 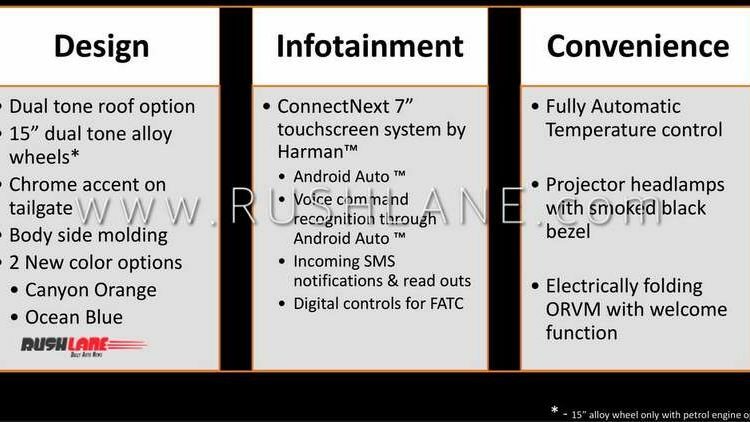 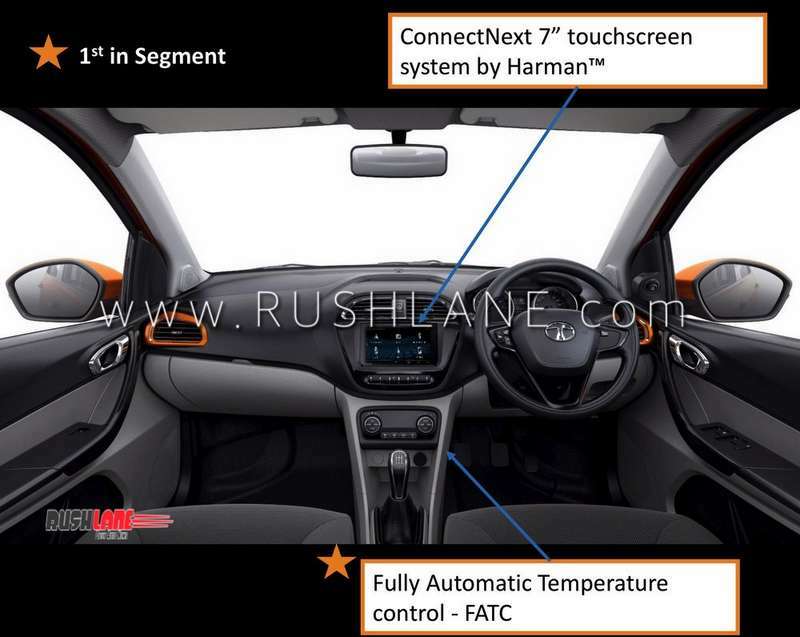 Tata Tiago XZ+ top end variant with multiple new features will launch in India on 12th December. 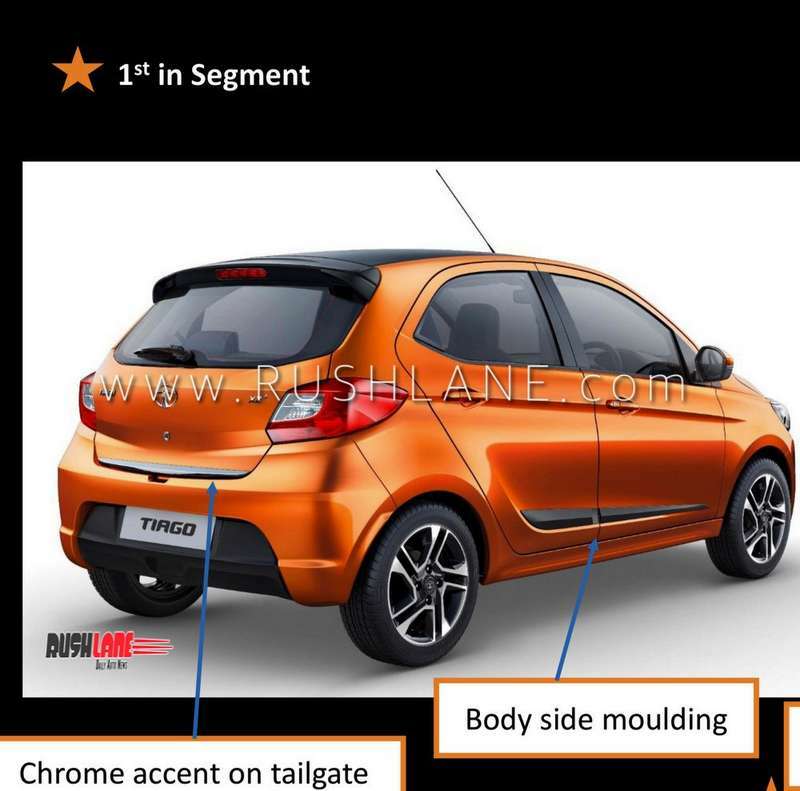 Ahead of the launch, details of this new Tiago variant has been leaked. 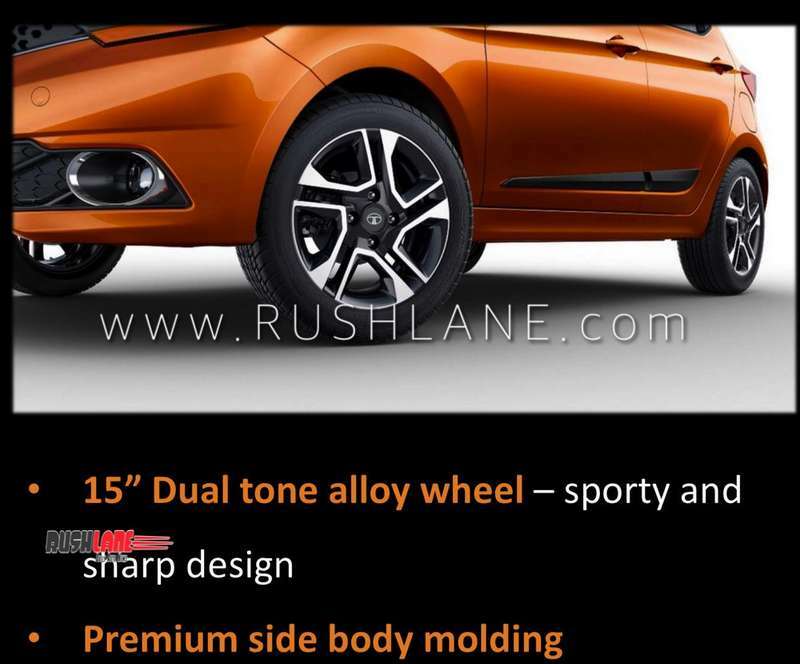 As per the details received, Tata Tiago XZ+ variant will get new 15 inch dual tone alloys, which are larger than the 14 inch alloys offered with Tiago till date. 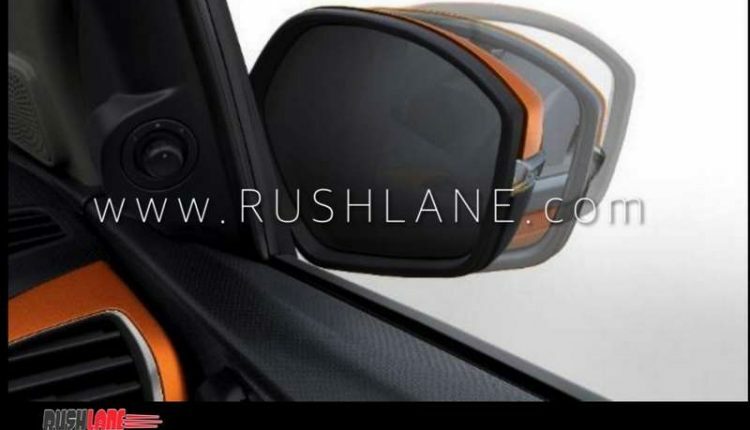 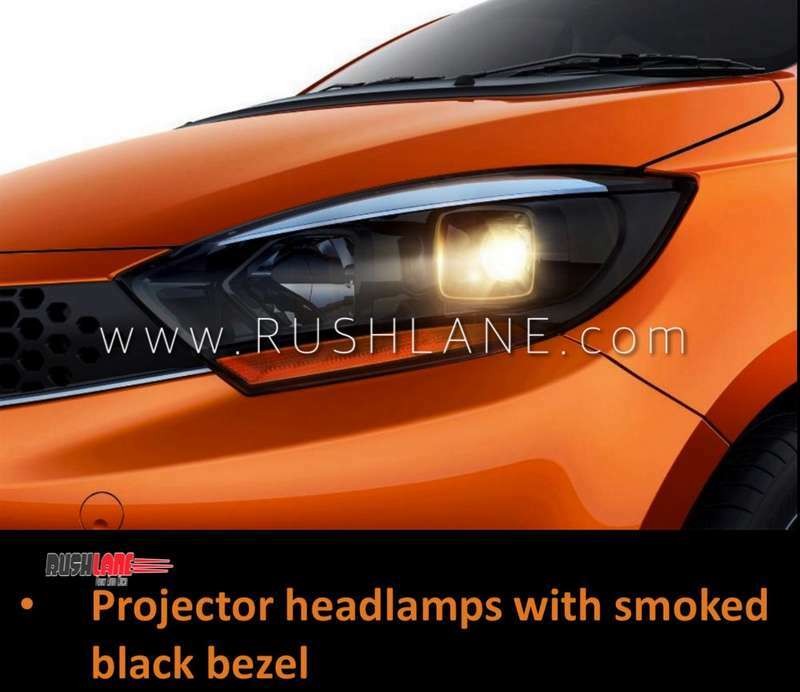 There is also the addition of projector headlamps with smoked black bezel, side body molding, 2 new colour options of Canyon Orange and Ocean Blue, chrome accent on tail gate, electrically folding ORVM with welcome function, and dual tone roof. 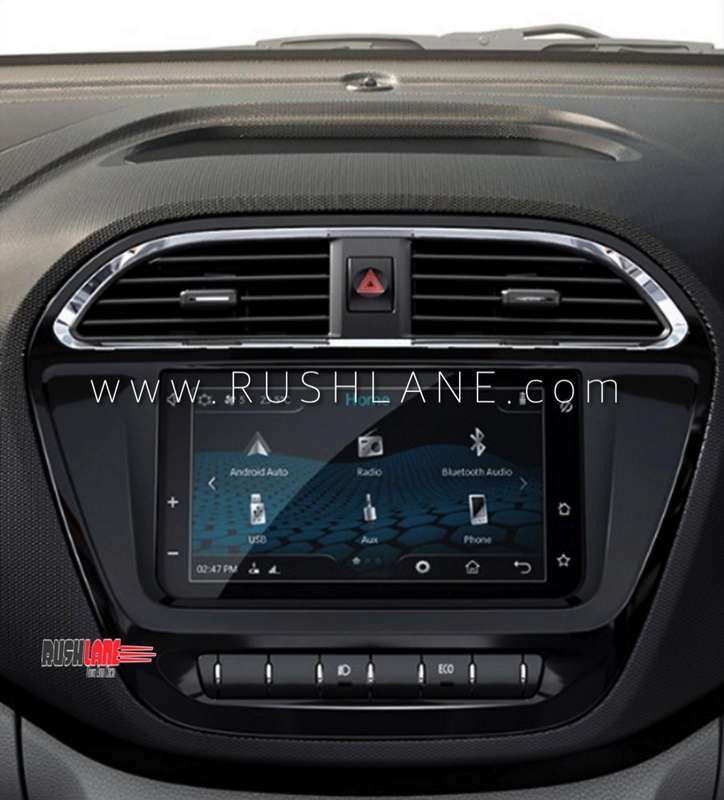 On the inside, the 2018 Tata Tiago XZ Plus variant gets a 7 inch touchscreen infotainment system with Android Auto, Voice command access and incoming SMS notification. 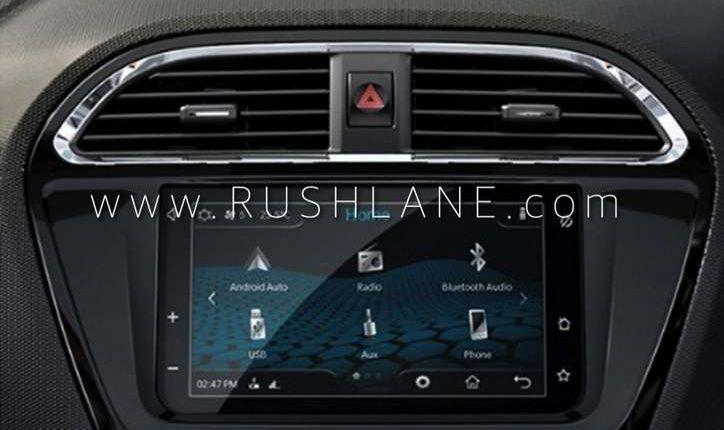 Apple CarPlay could be offered at a later date. 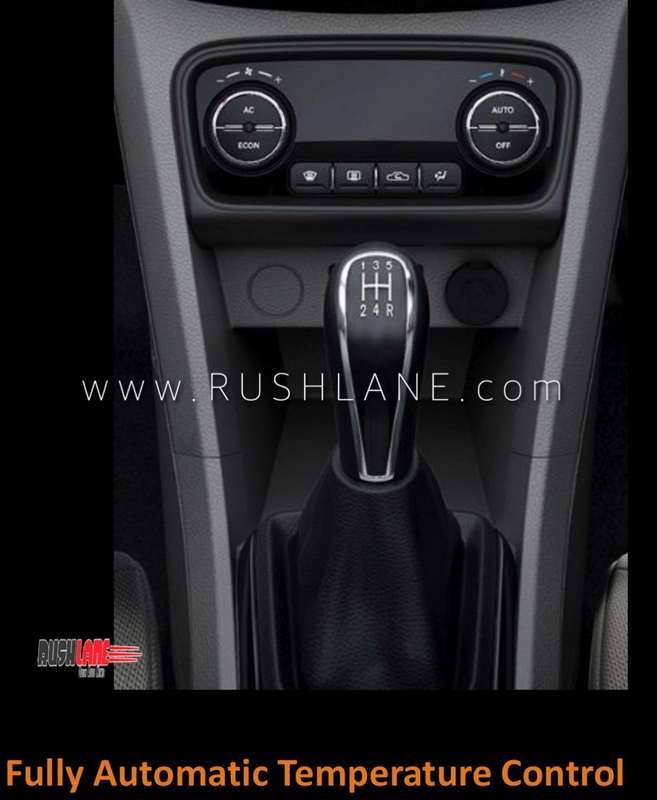 It also gets fully automatic AC and digital control for the AC. 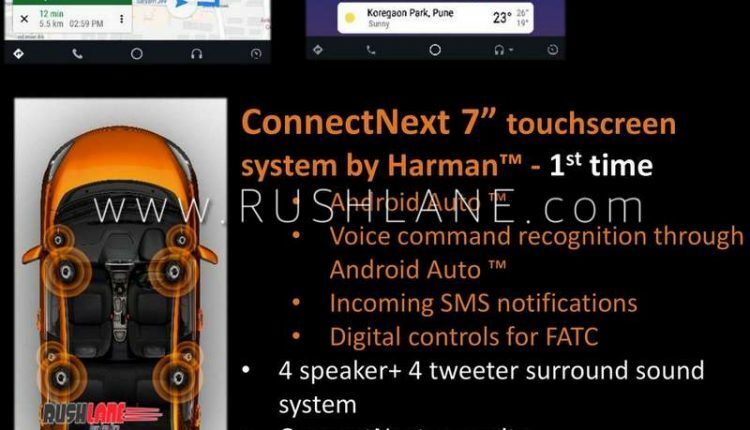 For entertainment, there are 4 speakers and 4 tweeters (this was also offered with the XZ variant, but now XZ variant only gets 2 tweeters and XZ+ gets 4 tweeters). 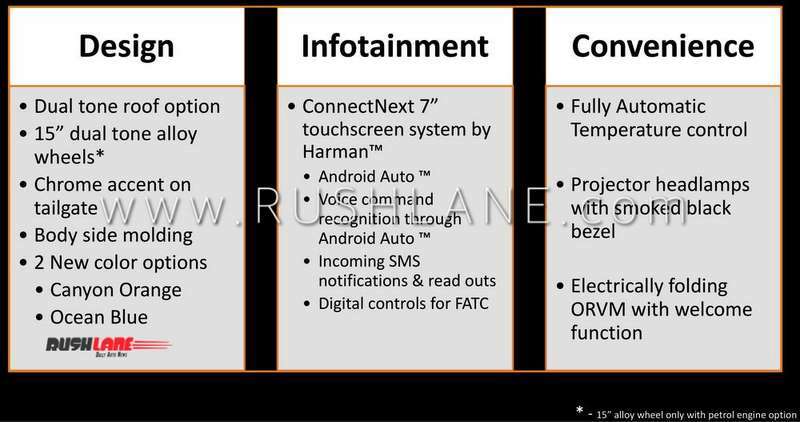 The infotainment screen also helps as park assist. 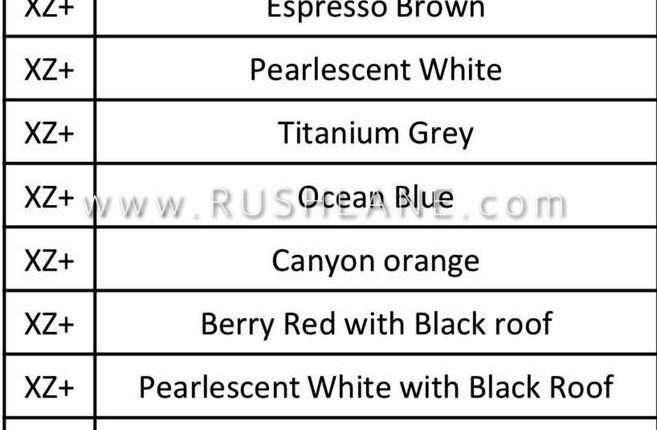 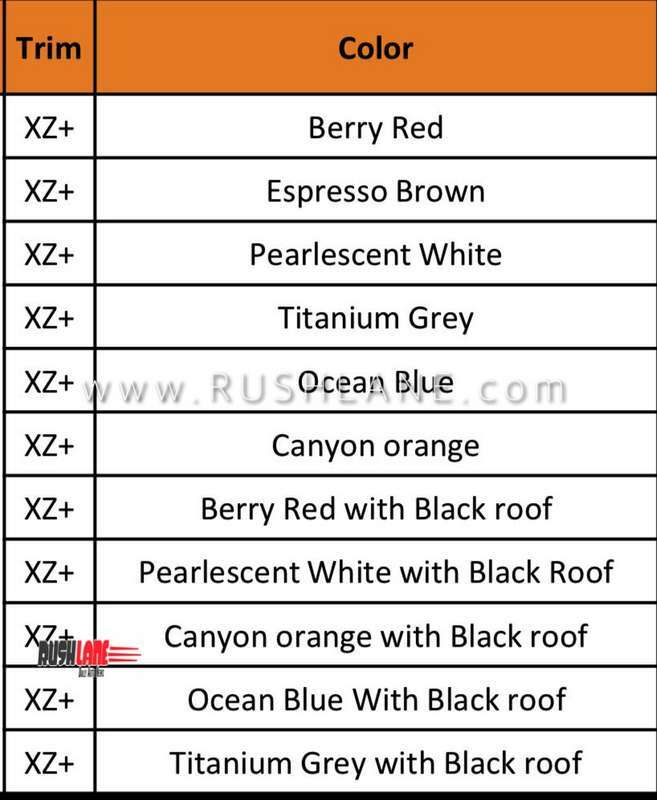 Single tone colour options on offer with new Tata Tiago XZ+ are Berry Red, Espresso Brown, Pearlescent White, Titanium Grey, Ocean Blue, and Canyon Orange. 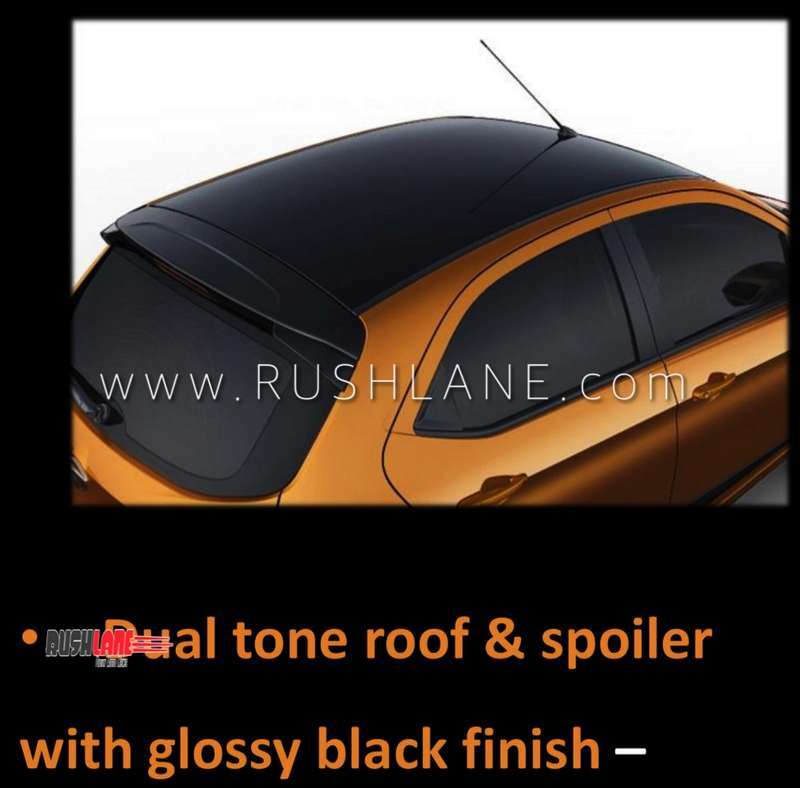 Dual tone colour options on offer with all single tone options, except for Espresso Brown. 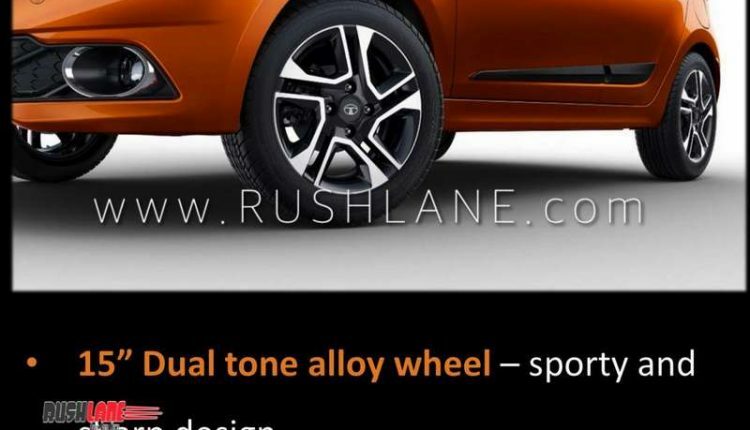 Apart from addition of features, there is no other change. 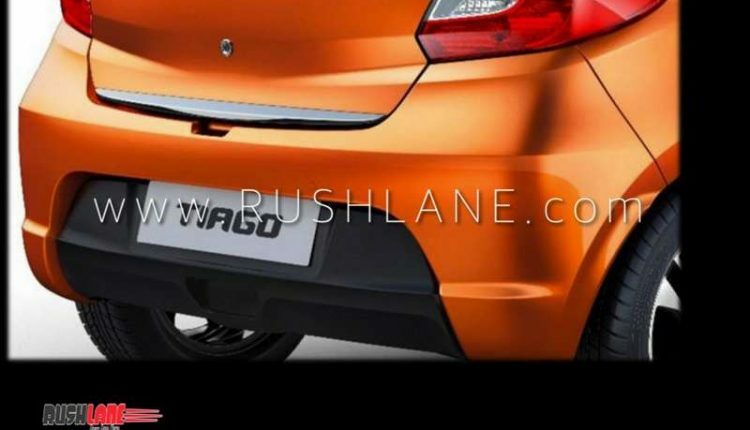 Just like other Tiago on sale, the top end XZ+ stands at a length of 3746 mm, width of 1647 mm, and height of 1535 mm. 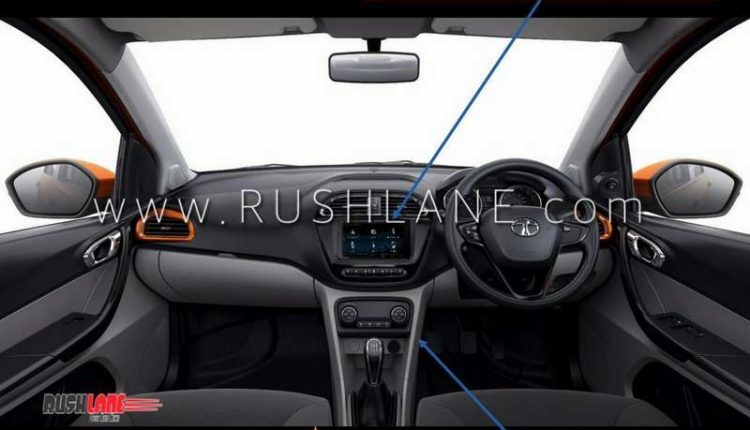 The 5-seater hatch gets power from a petrol – Revotron 1.2L 3 cylinder engine with multi-drive modes, and a diesel Revotorq 1.05L 3 cylinder engine. 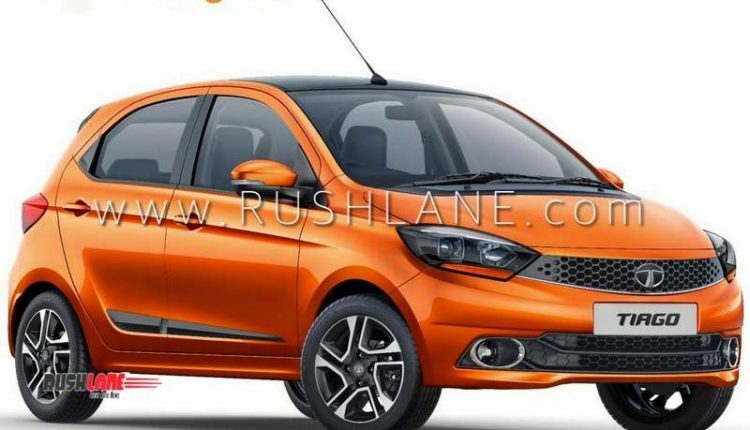 Tata Tiago petrol 1199 cc engine returns max power of 85 PS @ 6000 RPM and max torque of 114 Nm @ 3500 RPM. 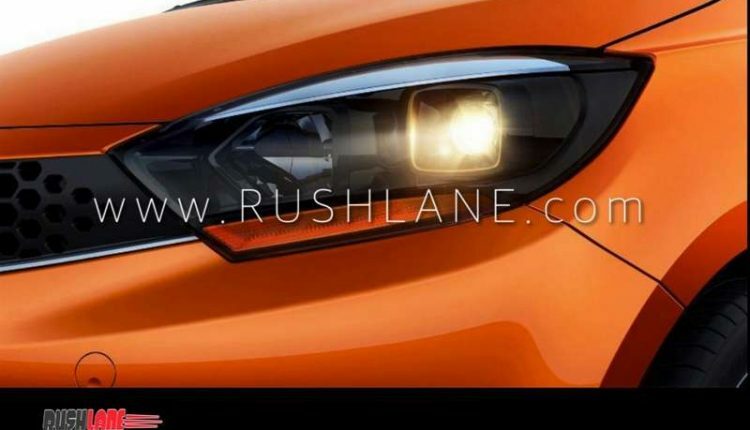 Diesel 1047 cc engine return max power of 70 PS @ 4000 RPM, and max torque of 140 Nm @ 1800-3000 RPM. 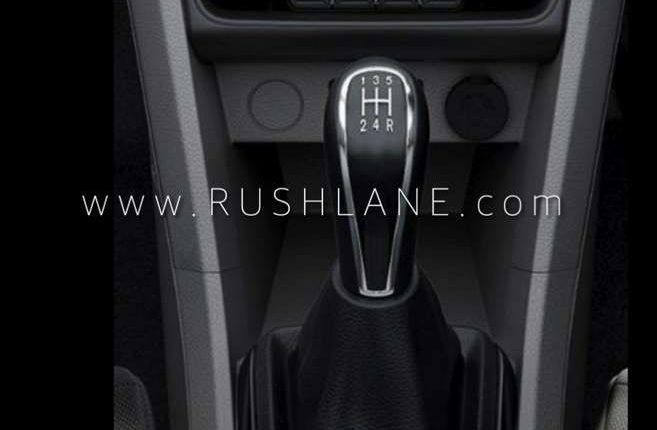 Diesel and petrol variants are mated to a 5-speed manual transmission, and AMT is on offer with the petrol XTA / XZA variants. 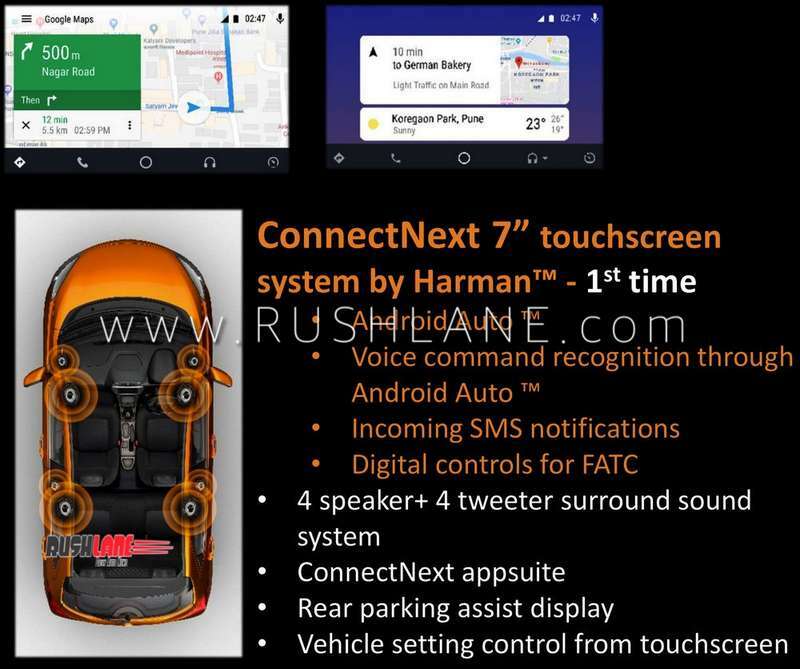 New XZ+ will only be offered with manual transmission as of now.